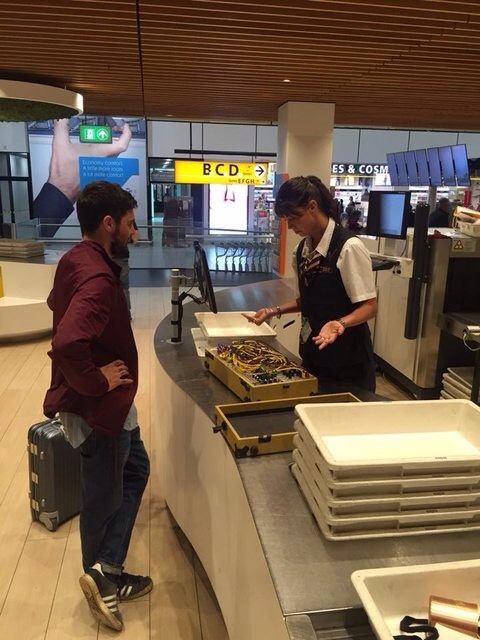 I love the WTF hand gesture on the security agent. Like, what do I even do with this? Do not know if terrorist or oblivious engineer. One of the commenters reports that this is Blawan, a techno musician that does his sets live. That's a modular synth all disassembled in his bag. Still, the expression is priceless.